Inspirational Themed Gardens offer children a wide range of learning experiences and there are loads of creative ways to encourage kids to start small or think BIG! 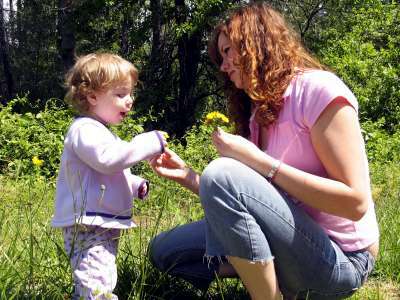 Growing plants and being in contact with nature is a therapy in itself and often a neglected but important aspect needed by everyone today, but especially children. What a great gift we can give to children! I hope you enjoy some of the ideas I’ve put together from my experiences. captivate their imagination and sense of fun. delight in colours and flavours. help them take ownership of their own space – no matter how small. Themed gardens can captivate a child’s imagination and be a place to escape to, discover, explore, relax, observe, nurture THEIR OWN plants and play. 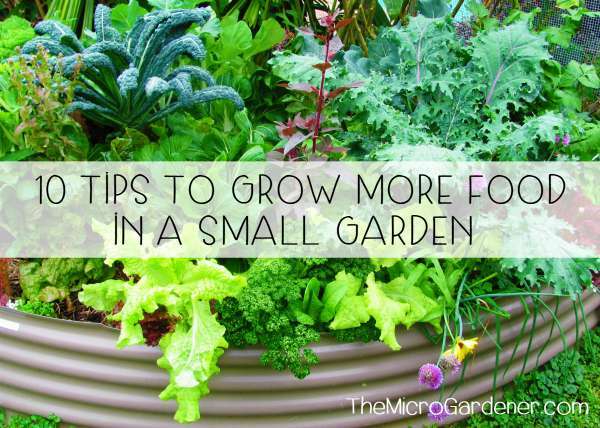 With some simple design ideas, you can create a mini theme garden even in a pot or container. 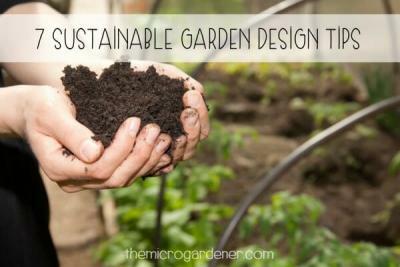 If you are wanting to get your children interested in growing – from edibles to ornamentals, multi-functional plants, flowers or habitat gardens – below are three inspirational garden theme ideas with lots of easy, low cost options to get started. 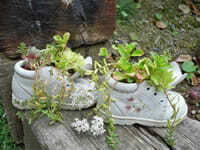 Once outgrown, these cute little white children’s sneakers make perfect pots for the garden. 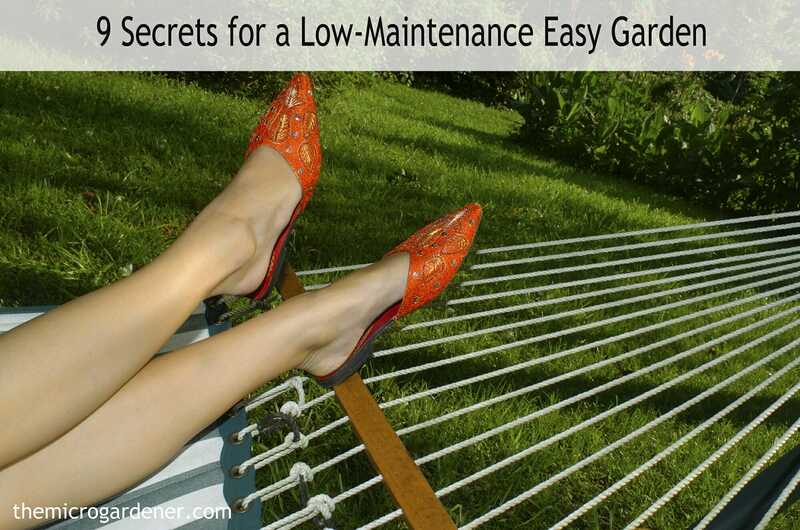 Softened with matching white cascading flowers they make a perfect pair as the plants chosen don’t dwarf the shoes. Select 26 plants with names beginning with each letter of the alphabet. (I have compiled a comprehensive table of A-Z edible fruits and vegetables available around the world so feel free to email me for a copy.) Kids can make their own plant labels for free so they learn to identify what each of the plants are. Children can take their friends and family on a tour of the garden in alphabetical order of the plant names or play this as a game to see how fast they can get to all the plants till they reach the last plant in the alphabet! 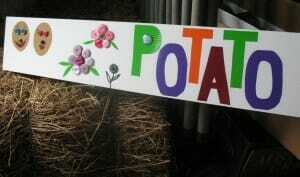 Make signs with plant names to help kids identify what they grow and encourage them to spell correctly. Select plants that begin with letters that spell out the child’s name – they can be a combination of edible plants like veggies, herbs, fruit trees and flowers or ornamentals. e.g. For a girl, ELLA might choose English spinach (to eat), Lemon Balm (to make a delicious tea), Lettuce (to eat) or Lavendar (for fragrant cut flowers and craft) and Aloe Vera (for a medicinal garden to soothe cuts/burns). If you don’t have much space, keep it simple and plant an ABC garden. e.g. For an ABC flower garden, plant Allysum or Asters for A; Choose a Bulb or Begonias for B and Cosmos, Calendula or Carnations for C.
Children can mark out the first letter of their name in a garden plot and grow plants of their choice in the space that fits that letter’s shape. 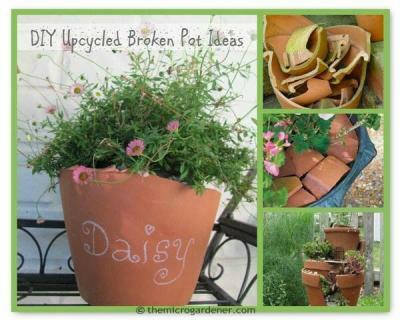 Get creative with other ways to personalise a mini garden for children. ‘Olivia’ might choose a circular shaped pot or garden bed to represent the ‘O’ in her name. ‘Liam’ might join two rectangular plastic planters together to form an ‘L’ and children with short names like ‘Amy’ might use a three-tiered hanging basket – with each basket containing plants starting with each letter. 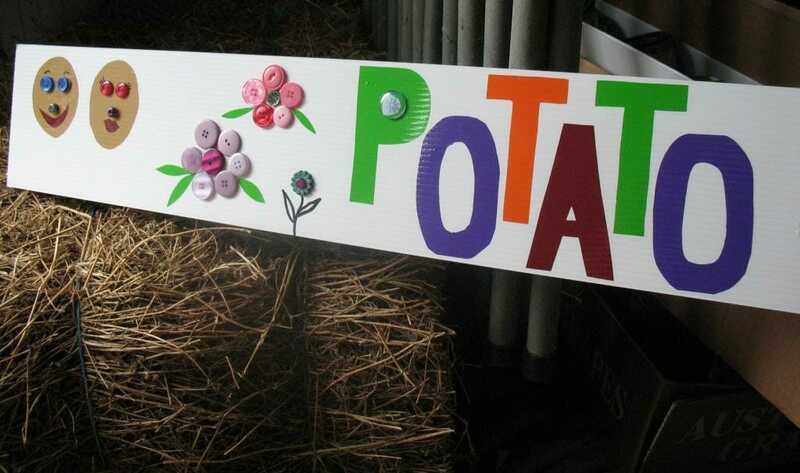 If there is enough space, children can spell out their whole name with plants or use a combination of plants and garden art to complete their name. e.g. 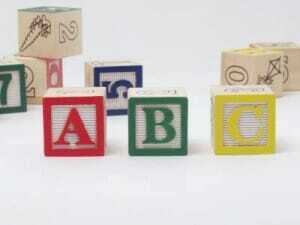 make the remaining letters of the child’s name out of craft clay and decorate. 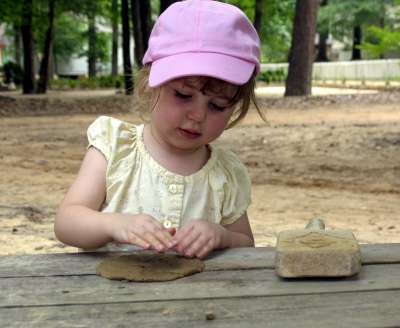 Stones, pebbles, shells, sticks, bark and other objects from nature can also be used to make letters. 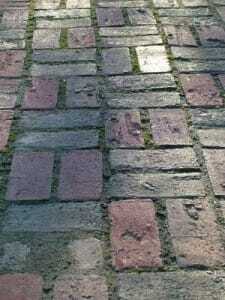 Use recycled pavers or tiles to make a pathway with the letters of the alphabet painted on in bright colours. 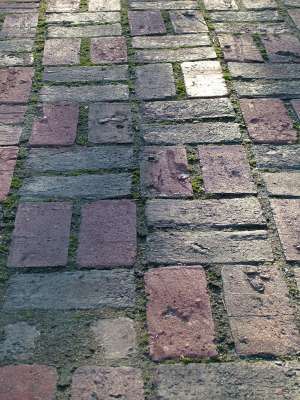 Turn plain pavers into a colourful pathway to add fun to a child’s garden space. These are just a few ideas to get kids inspired to grow an Alphabet Garden. There are a huge variety of plants that lend themselves to Sensory Gardens. One easy to grow plant that has a wide range of cultivars and fragrances are Scented Geraniums (or Pelargoniums). They have beautiful aromatic foliage and whilst some have attractive flowers, it is the leaves that make these plants so unique and special. Pelargonium or Scented Geranium leaves come in a huge variety of fragrances and make the perfect plant for a sensory garden for children. Scented leaves come in a range of shapes, patterns and colours; with some varying from pale to dark green in colour and many have fascinating textures for kids to explore – leaves can be furry, woolly, silky, smooth and even sticky! The scent becomes most prominent by bruising or gently rubbing the leaves – the tiny hairs on the leaves house glands that contain tiny drops of oil that are then released. They make a fun addition to anyone’s garden and certainly are a talking point to guess the fragrance. They can be grown easily in pots, the garden or even a sunny windowsill indoors and have many uses. Indoors, their fragrance becomes a natural room deodoriser – no need for chemicals! Leaves can be dried and used to make fragrant potpourri or sachets and even decorate homemade cards. 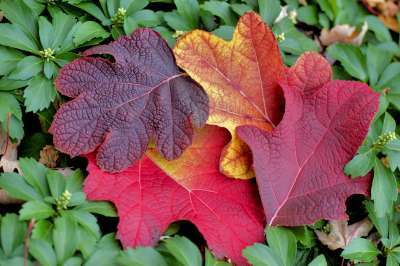 Fresh leaves can be chopped and added to fruit salads or cakes and can be used to flavour sugar while fresh or dried leaves can make delicious herb teas. Scents vary from delicate to powerful so try before you buy! Some of the different scent varieties available include: rose, citrus, fruit scents such as apple, coconut and strawberry, spices such as cinnamon, nutmeg, ginger and peppermint and even chocolate. 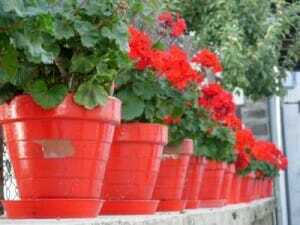 Scented geraniums also come in different growing habits – some are trailing so suit hanging baskets and containers, others like plenty of personal space (but can be pruned and propagated) and some have a very upright growth habit. To save money, ask a friend or neighbour for a scented geranium cutting for your child’s garden. They can then enjoy watching their ‘surprise scent’ grow. Incorporating colours of the rainbow into a child’s garden is so easy. Young children in particular are drawn to bright colours and they very much add to the appeal and interest in a micro garden or small space. Colour Wheel of Fruits and Vegetables – Many edible plants offer huge health benefits according to their colour. Plant a variety from the colour wheel. Select plants that have fruit, roots, stems or seeds in the colours of the rainbow. Some ideas to get you started: Yellow varieties of squash, zucchini and tomatoes; Orange pumpkins and carrots; Red strawberries, tomatoes, capsicum, radish and beetroot; Green snowpeas, beans, broccoli, celery, cucumbers (take your pick for green! ); Blue/purple eggplant, potatoes, blueberries and cabbage. Flower garden – there are so many flowers from annuals to perennials available right throughout the year, so the choice is endless. Some colour ideas are: yellow marigolds, sunflowers, zinnias and daisies; orange marigolds, cosmos and nasturtiums; red zinnias, snapdragons, pineapple sage flowers and other salvias; pink petunias, begonias, vinca and impatiens; purple violets, verbena and petunias and blue agapanthas, corn flower and salvias; and white impatiens, agapanthas, daisies and sweet allysum. Pots or containers – can be painted with non-toxic water based acrylic paints in loads of designs: paint the rainbow, add some flower power, colour pots with dots, stars and stripes or have fun with hand or thumb prints. Another great idea for decorating is cutting vegetables like potatoes in half with a sharp knife and making a ‘stamp’ with a design cut into the surface of the potato. 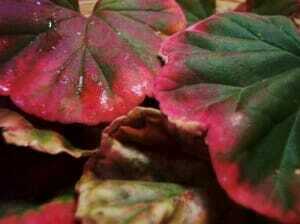 It might be a simple star shape cut out or a leaf or flower. Dip into paint and repeat stamping the pattern on the pot. Use your imagination! You can even use colourful shoes as planters. Garden art– add the rainbow colours with container gardens, murals, gates or fences, stepping stones, painted pebbles, handmade pottery pieces, wind chimes, bird houses or baths, mosaics, recycled painted bricks and more! 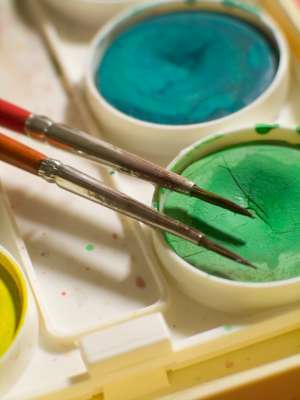 Colour temperature – break the colours up into cool, (blues, greens, purples/pinks); warm colours (yellows, oranges, reds) and neutrals (white, greys, black). 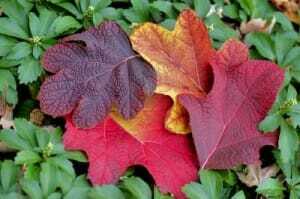 Introduce rainbow colours with both foliage and other plant parts like flowers and fruit. I have loads more ideas for kids gardens to share with you, so if you don’t want to miss future posts, join my newsletter (and grab your free eBook). Other popular ideas are the Jack & the Beanstalk Garden; How to Make A Bamboo Tepee in a Minute and Grow Your Own Herb Tea Garden! If you like this post, please share it or leave a comment! You might also enjoy Gardens for Kids, Thrifty Recycling Ideas for making your own garden tools for kids and showing children How to Grow Sprouts. Check out clever container ideas from other gardeners with amazing photos to help get you inspired too. I have a health practice in a small country town in WA 100 km from Perth and want to design a sensory garden for children with disabilities ….. I don’t know where to begin. Do you know of anyone who can assist or how I should start ? I don’t know of anyone personally but you can try contacting a Permaculture group or consultant in your locality to help you connect with people who may want to volunteer to be involved or have the skills to teach or design your project with you. You should find plenty of people to help you through these or try a Horticultural Therapist in your area. Hope this gets you started! Great ideas for children’s gardens Anne. Could you send me the list I would like to give it to my daughter. 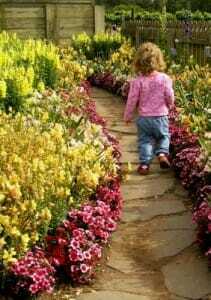 Our grandchildren love gardening. I would like to get this list if possible. comprehensive table of A-Z edible fruits and vegetables available around the world so feel free to email me for a copy. I would like to start a garden this year and get my 2 yr old grandson involved in gardening and learning more of his abc. Just had the good fortune to stumble across your awesome website!!! I am currently in the planning process for a sensory garden for a community childcare facility on the Gold Coast for a community project assignment & feel totally out of my depth. I was interested in your A-Z list of edible plants but the e-mail link wasn’t working. 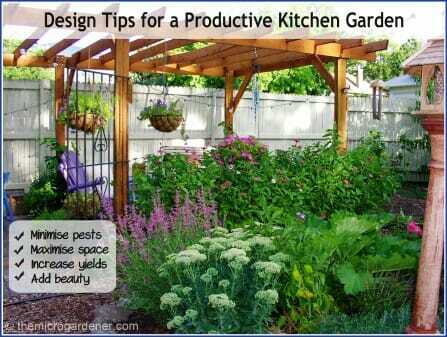 I also saw in your response to Amber that you may have some tips on sensory gardens. I would appreciate any I can get if you would be kind enough to email them to me as well. Keep up the good work, great ideas. Glad the info is useful. Have fixed the email link – thanks for the heads up! Will email you the list and sensory info. These are wonderful and very creative ideas. Thank-you so much for sharing them. I can hardly wait until Spring to get started. Hello! I am in the process of planning a sensory garden for our small rural school, and I came across your website. Look forward to getting some great ideas from your ebook. Thanks for contacting me and I hope you will find some useful tips on my website and in the eBook. I have loads more articles planned but as I am also writing a book, I blog as time permits! I have been involved with primary school students in the development of sensory gardens and it is a very satisfying and rewarding experience. Designed and planned correctly, they offer tremendous long-term value and a unique learning environment. I strongly believe in helping children engage with nature at all levels and research shows a wide range of beneficial health, emotional and educational outcomes. In fact, not to do so is quite detrimental (you may be interested in reading the views of Richard Louv author of ‘Last Child in the Woods: Saving our Children from Nature-Deficit Disorder.’) In this technological age where children spend more time indoors in front of TV and computers than outdoors, sensory garden spaces play an even more important role as a sacred opportunity to re-connect with themselves and the wonder of nature in an outdoor classroom. If you haven’t already got a copy of ‘Outdoor Classrooms’ I strongly recommend it as a text – written by Janet Millington and Carolyn Nuttall, all the schools we work with find it a valuable tool for school gardens and integrating curriculum. Written by teachers, for teachers! I also have a useful resource that steps you through some ideas of how to plan a sensory garden that may help inspire you too that I will send by email. I work as part of an edible landscapes team primarily with students and teachers. The head of our team is a designer who has done some tremendous work with school and community gardens and sensory gardens in particular so if your school has a small budget he may be able to assist in creating a 3D space using Permaculture principles. All the best with your project. Cheers for now and happy growing!